If like me, you regularly fail to obtain the recommended eight hours of nightly sleep, I advice you to not wait any longer to read this book. As the author underlines, two-thirds of adults throughout all developed nations face the same problem. Nothing really surprising with our modern lifestyle, but the shorter we sleep, the shorter our life span, and consequences are countless (risk of cancer, Alzheimer’s disease, depression, feeling hungry, difficulty of learning, etc.). The book is organized around four parts. Part 1 demystifies classic sleep myths. Part 2 explores the perils of sleep loss. Part 3 focuses on our dreams. Part 4 analysis sleep disorders including insomnia. 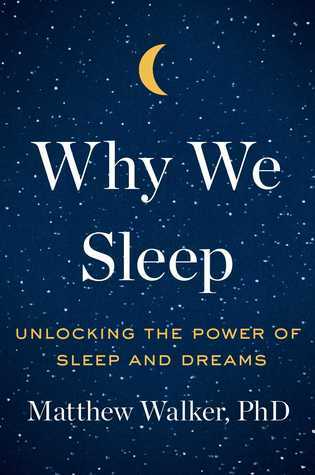 Even if it is clearly not the best written nonfiction book, I particularly enjoyed reading Why We Sleep. It contains a wealth of valuable information. The author really take the time to describe in details numerous research experiences. It answered all the questions I had, but also brought me many more answers. You may suspect that sleep is so crucial for our well-being, you will be surprised by how much it is, at every stage of our life. Whatever your age –student, parent, retired person– this book will benefit you. Why We Sleep is the only book that make its author happy if you felt asleep while reading it.